These are two Oreos that really need a glass of milk on the side -- but not for the usual reasons. Mondelez International has released two new Oreo flavors, and they both come from the world of spice: Wasabi and Hot Chicken Wing. These bold flavors are a follow-up to the Cherry Cola, Kettlecorn, and Pina Colada Oreos released earlier this year. The unique new flavors have only been released in China, and may prove difficult to find anywhere else. However NBC 4 managed to get its hands on a few boxes, so we decided to taste test them ourselves. We asked members of our team to try each flavor and rate them on a scale of 1-10. 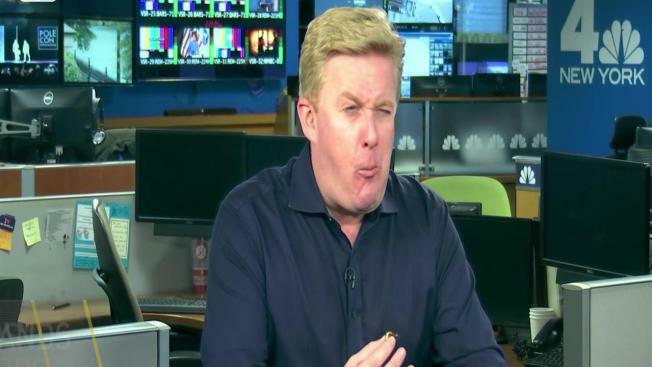 Reactions were mixed, but one thing's for sure - it's not like any Oreo you've tried before! Watch the reactions in the video above.